Routine eye examinations are important regardless of your age or physical health and at Mullaney Opticians we’ve got the latest equipment to ensure you receive a comprehensive and thorough eye test. 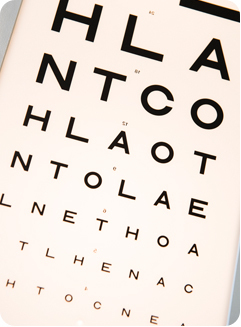 During the eye examination we’ll do much more than just determine your prescription. Our appointments last 40 minutes which allows our optometrist to explain the various aspects of the examination and should a prescription be issued, we will provide you with the options available to you. An eye examination is a vital health check that can detect early signs of various conditions affecting the eyes before you’re aware of any symptoms. Glaucoma, macular degeneration, diabetes and many other eye conditions can be treated successfully if found early. Many general health problems can also be detected by a thorough eye examination.